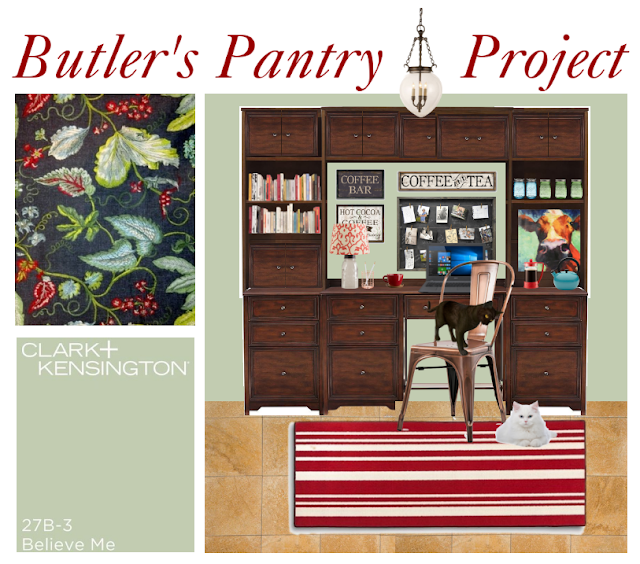 In the six months we've been living here, the butler's pantry has served several purposes. First, it was a catch-all. Then, we turned it into a storage spot. 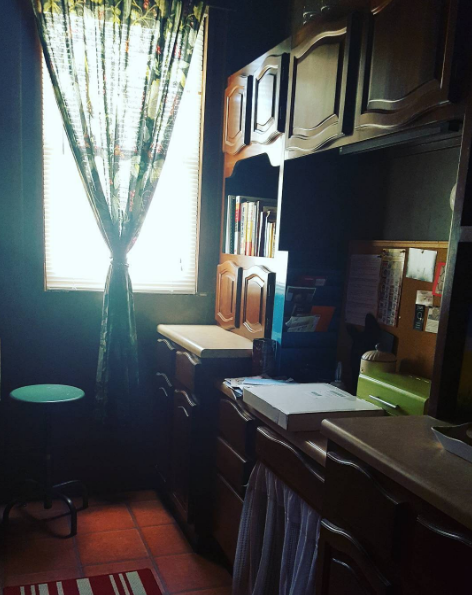 We use a third of it for cookbooks and the surplus of baking pans and supplies that don't fit in our kitchen cupboards. We use another third for things like cleaning supplies, my little toolbox, and garbage bags. And the other third is a coffee/tea bar. But we haven't been fully utilizing the desk section. For a while, I concealed one of the cats' litter boxes underneath—with a curtain blocking it from view. But I hated how the litter scattered and how close the cats were doing their business to my coffee bar. The little desk has so much potential. Sure, G's got his desk upstairs for his computer and stuff. I've got my desk in my office. 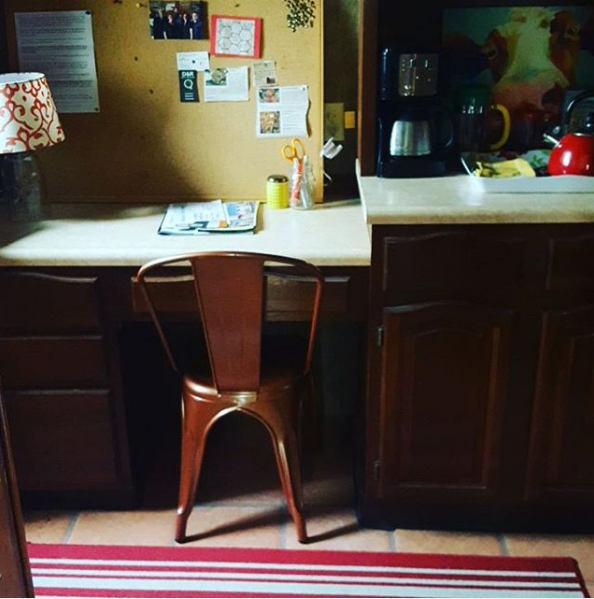 But this is a nice little extra spot to sit down and sort mail, chop veggies, or even bring my laptop in for a change of perspective while writing for work, the blog, or whatever. 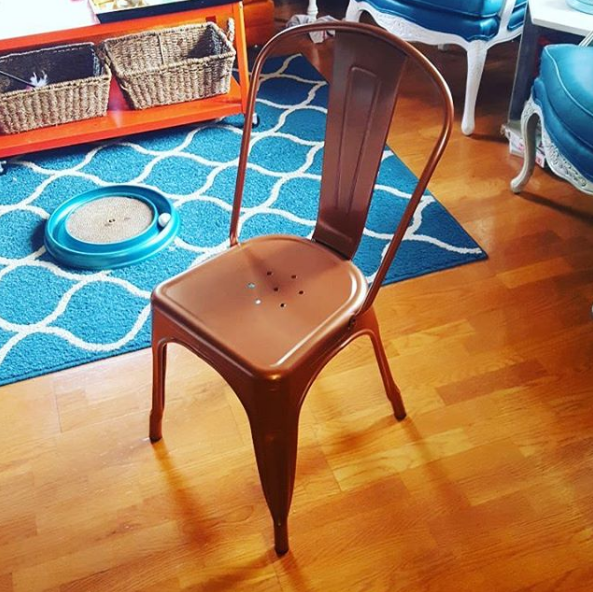 So I bought one single chair. In a beautiful copper. For a mere $37 from Amazon. The industrial style feeds my little crush on that look. 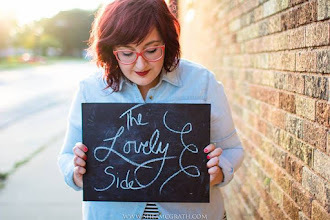 The copper tone is warm and vintagey. It's the perfect compromise. I have a ton of paint chips on hand. (It's like an addiction.) So I taped a bunch to the wall above the desk in the butler's pantry and lived with them for most of the day. I'd walk in and check out how the colors looked in different lighting—morning, noon, sunset, and even at night with just the antique pendant shining overhead. Some of the colors were just too blue. I'd prefer to use light turquoise as an accent in here rather than a wall color. Some of the hues were just too green or too minty. 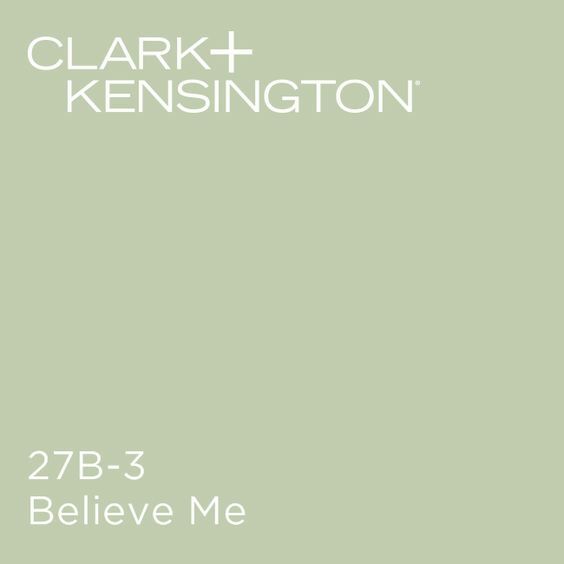 My eyes kept coming back to one color: Clark + Kensington's "Believe Me." 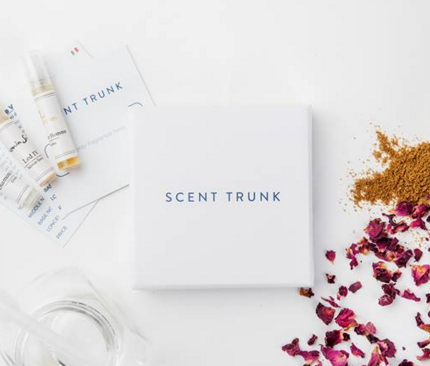 It's a light green that—depending on the light—can look either sage-y or even minty. It's green enough to look fresh and clean, especially against dark woodwork. It's also warm enough to feel neutral. It's versatile. And most importantly, I think I can live with it for a while. As we do every single weekend (and often twice a weekend), we hit up our local Menards for wallpaper removal and plaster repair supplies. I tried to find a perfect match for "Believe Me" among all the paint swatches there, but everything was either too sage or too mint. And since I'd chosen my paint color specifically based on how it looked in different lighting in the actual room, I really didn't want to budge. Surprise, surprise. There were two layers of wallpaper in this tiny room. The top layer peeled off easily without any spraying or scraping. One of the paint colors underneath all that wallpaper was this nice, light, minty shade of green! 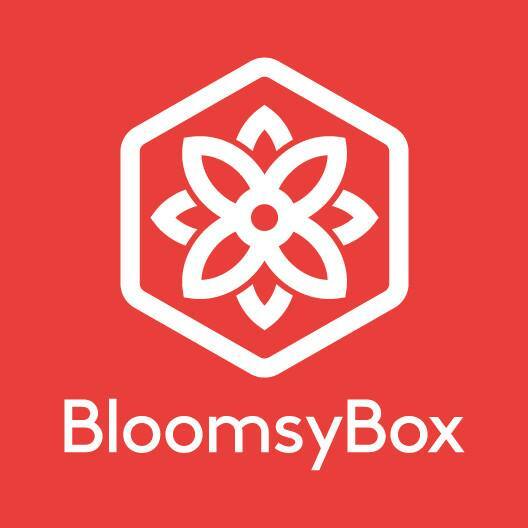 (Similar to several colors that I was considering!) I was pleased to see just how much lighter and brighter the space would look with a lighter color on the walls. 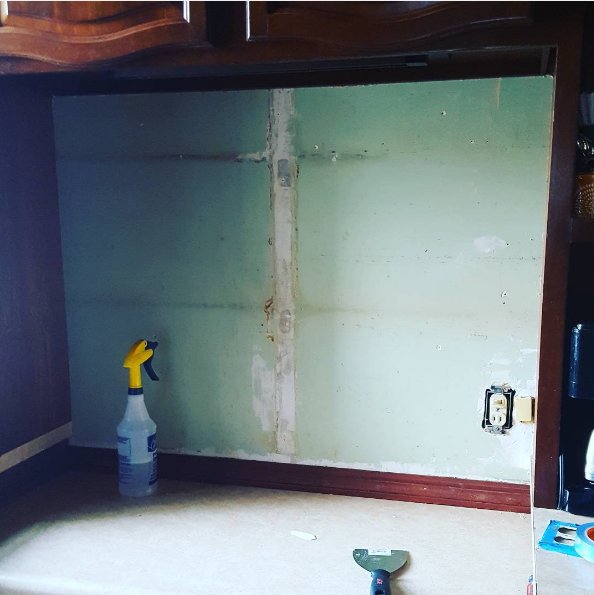 For wallpaper removal, we used DIF wallpaper stripper. Just spray. Let it sit. Then scrape/peel. Word of advice: When I say "spray," I really mean "saturate." We were a little eager at first and would spray and start to scrape/peel. This was time and energy consuming. 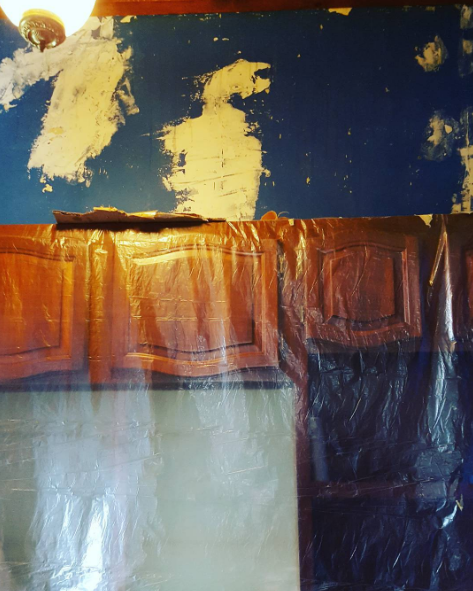 Eventually, we figured out (well, G figured out) that DIF works its magic best when you completely soak the wallpaper with it. Spray it until it can't take any more. Then, give it ten or fifteen minutes. When you come back, the wallpaper will easily peel off in HUGE pieces. 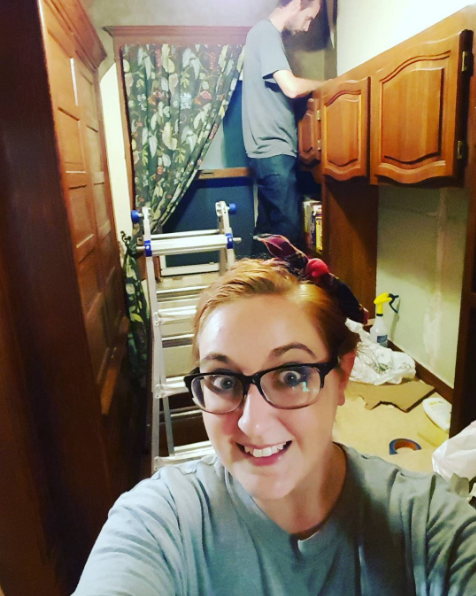 All the wallpaper is down! 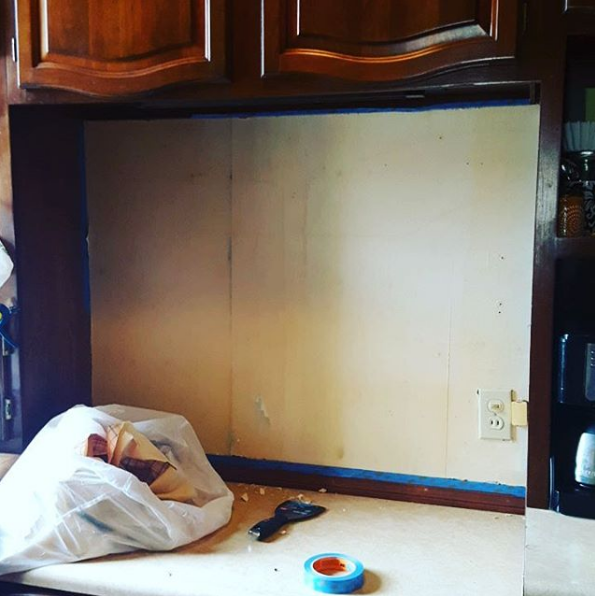 This weekend, G will be doing some repairs to the plaster while I take on an other project for the dining room. Then hopefully next week, I'll be able to get into the butler's pantry and get that pretty shade of "Believe Me" green up on the walls. We'll still use the left third for cookbooks and baking stuff. The upper cabinets will cleaning supplies and everyday items we need handy (like my tool bag). 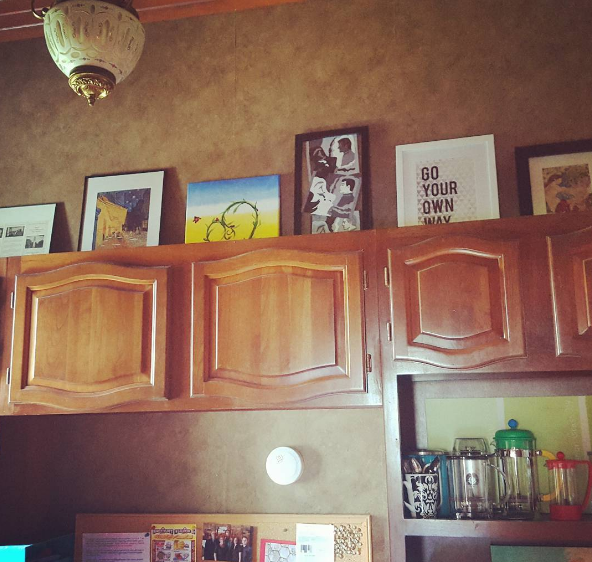 And the right third will still be my coffee/tea bar. The desk section will be a nice place to sit down and blog, write, or even chop veggies. 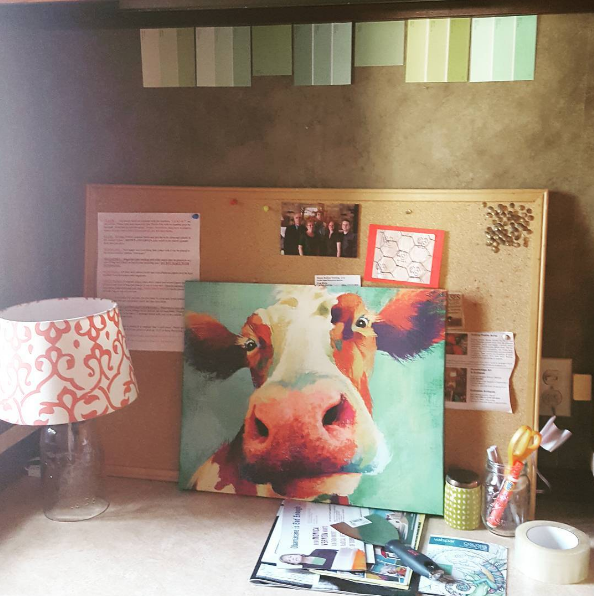 I'm going for a antique-meets-farmhouse-meets-vintage kinda look with country accents (like my colorful cow artwork) living happily alongside coffee signs and mason jars. (I store all my coffee and cappuccino mixes in them.) I was going to paint the wall over the desk with chalkboard paint, but I've decided otherwise since seeing how bright and airy the space looks with light green there. Along with the light, sage-y, minty green, I'll bring in charcoal gray, creamy ivory, turquoise, red, and some pops of copper. I can't wait to see how this butler's pantry / coffee nook turns out! Stay tuned!